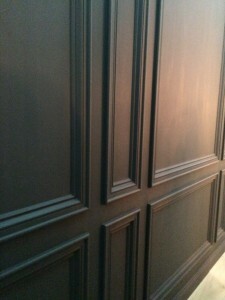 blog_grain › Wall panelling fit for a showhouse! After the huge success of the Autumn Ideal Homes Exhibition we have hardly had a spare moment! 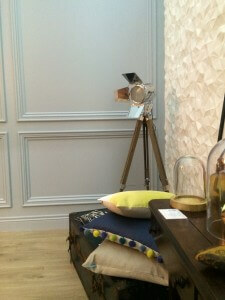 Easy to see why when you see just how fab our wall panelling turned out in the showhouse. Delighted! 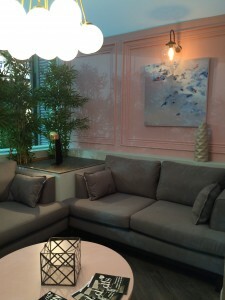 Designed with each space in mind, our wall panelling gave texture to the showhouse. 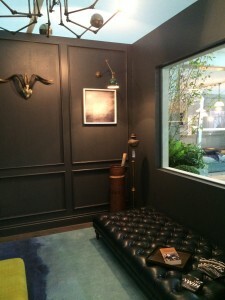 The showhouse was designed by Roisin Lafferty from Kingston Lafferty Design, we think she did an amazing job & are really looking forward to working with her again on future projects! The nook in the kitchen was soft, cosy & inviting with a touch of fun and just the spot for flowing conversation! The dusty tones of Luna Lite on the walls complimented the soft grey of the seating perfectly.And what a fantastic way to make a feature out of what could have been a plain corridor into the bathroom. I have found that people can be somewhat apprehensive when it comes to using panelling in a small corridor area in case it eats into the small about of space that they do have. I can honestly say far from it! 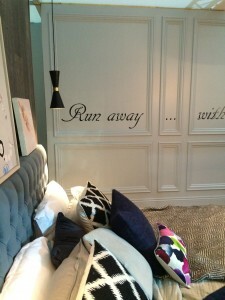 If anything, it made the corridor fun to walk through with dramatic Black Liquorice on the walls. 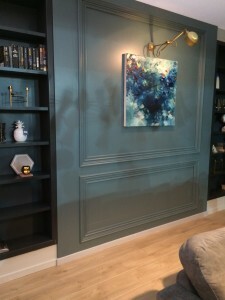 The artwork in the living area was naturally framed by the wall panelling and a great choice of paint colour – Bowmans Blue. 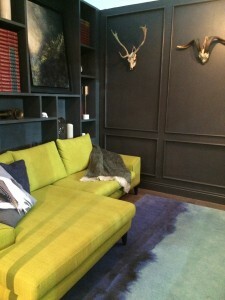 Templar Grey stole the show in the Library making it quite a masculine space grooved up with the pop of lime on the seating. Ormond Wash by Colortrend was a beautifully calm & relaxing colour choice for the master bedroom and our panelling gave the large room great depth and texture without being busy. If you have an idea, we are happy to work to any images/drawings you have so feel free to give us a shout. 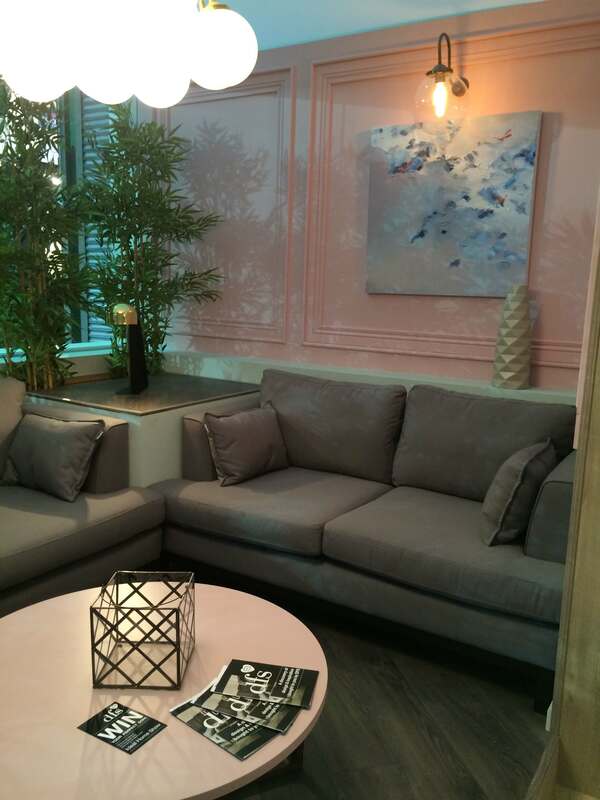 All our wall panelling is bespoke so anything is possible!